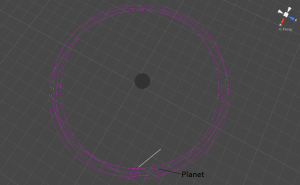 Using the physics components in Unity3D I was able to model a planet orbiting around a star. 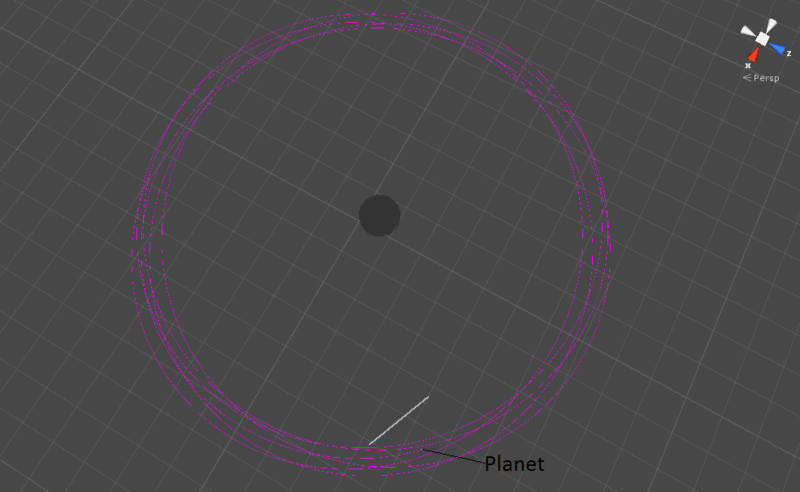 The planet has a moon that maintains a strong orbit around it. The orbital path of the planet is coloured pink. The other two lines are previous years that the planet has passed this point. The grey line represents the moon, which is just about visible as a tiny speck in the centre of the line. 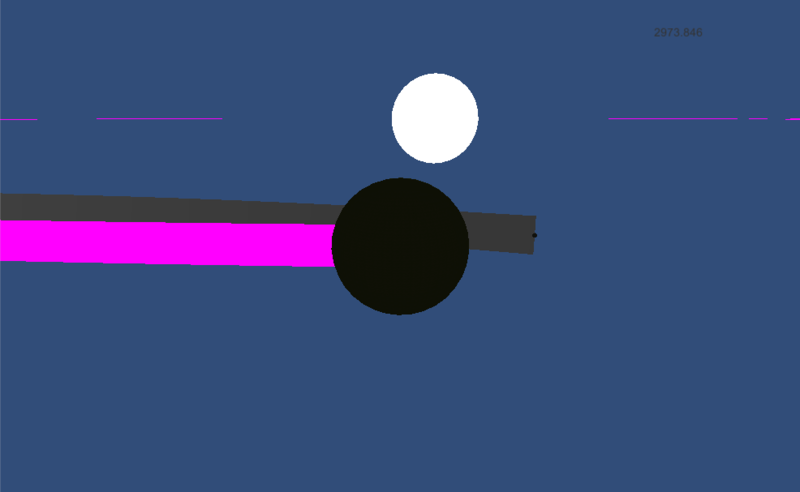 The image captures the light side of the planet, as it does not have any axis rotation. This is the dark side of the planet, and you can also see the star. 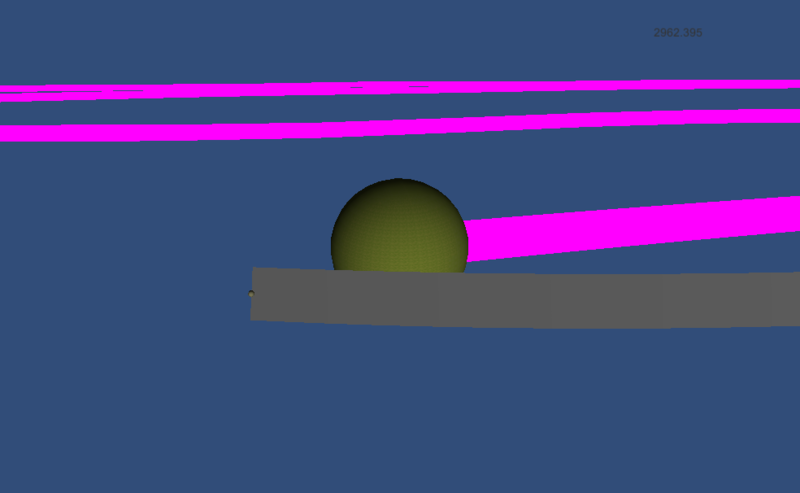 A top-down view of the orbit. The scale is so large that the planet takes up only 1 pixel in this image, and the moon is too small to be seen. If you would like the source of this project, please contact me.